After five years of marriage we wanted to find some FREE date night ideas that would not only provide something to do but also help us grow closer together. One of our favorite activities is creating questions and then taking turns asking each other, this is a great way to start conversations and learn information about your spouse you never would have thought to ask. Remember these questions are just meant to start a conversation. Pour a glass of wine and reconnect with your spouse. You win a free vacation but it cannot be with your spouse, which friend would you want to go with and where are you going? Extreme Weather! You are forced to live in one of these climates for a whole month, 100 Degrees or 0 Degrees. Which one would you pick and how do you cope? You are gifted one of these talents – dance, acting or singing. Which one would you pick and what would you do with it? When was the last time you were out and you thought, “I am glad I married you”? Pick one food you wish was healthy for you to eat and it tasted the same. What is it? Time to relocate! Regardless of money or jobs, where would you want to live and why? Best drink you have ever had? Best food dish you have ever had? Would you rather have a year long tan and be 10 pounds heavier or be pasty white and 10 pounds lighter? Pick one couple or an individual you would like to live on your street (does not need to be your next store neighbor). You get to name anyone to be the next president of the U.S. Who would you pick and why? You get to be a character on a current tv show, which show and who are you? You can ask your dog/cat one question and he/she will answer, what would you ask? Think of all of our past vacations. What is the one thing we should have done differently? Let’s talk about your body, would you rather be two inches taller, 10 pounds lighter or one body part be smaller? What is more uncomfortable, getting caught in a heavy make-out session with your spouse or with roaming hands on your spouse in public? More questions are coming your way next week! Remember these questions can be a fun way to get your spouse talking or even a good way to get to know each other. Come up with your own questions and then share them with me, I love to try new questions. 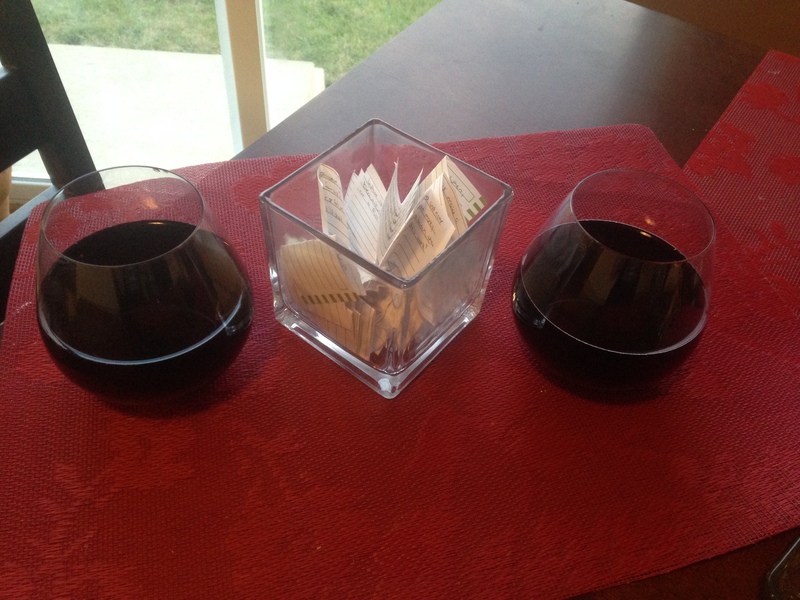 This entry was posted in Date Night and tagged date, date night, free, fun, ideas, marriage. Bookmark the permalink.